The Jewels of New York refresh spring refreshments. Diana Yen runs The Jewels of New York, a food consulting and styling company, which basically means she applies her killer design sense to all kinds of edible projects like carefully-arranged food photographs for magazines, workshops, cooking classes and event catering. Most importantly, it means shes invents insane, far-out recipes to test the limits of her favorite ingredients, some of which include beer, bacon and baby bananas. We asked her to share some of her best ideas for refreshing the old, basic brew. Combine lemon juice with seltzer and ginger syrup. Stir well and combine with beer. Add ice and garnish with ginger slices. Bring sugar and water to a boil in a small saucepan. Add ginger and stir to dissolve sugar. Remove from heat and let steep for 30 minutes. Pour syrup through a sieve, discarding ginger slices. Set aside and let cool. 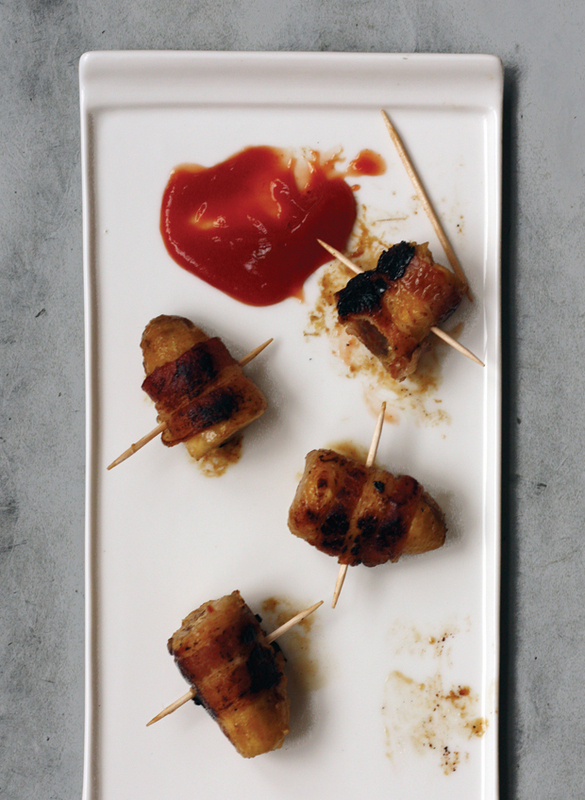 Click through for more recipes, including bacon-wrapped bananas and a Guinness float. Take the peppers out of the jars and drain them on kitchen towels. Heat the oil in a medium saucepan until temperature reaches 350 degrees. Meanwhile, cut the gouda into matchsticks to fill the peppers. Slit the peppers and fill with slices of gouda. In a small bowl, beat together the egg and water. In a separate bowl, mix together the bread crumbs and salt. In the third bowl, add the flour. 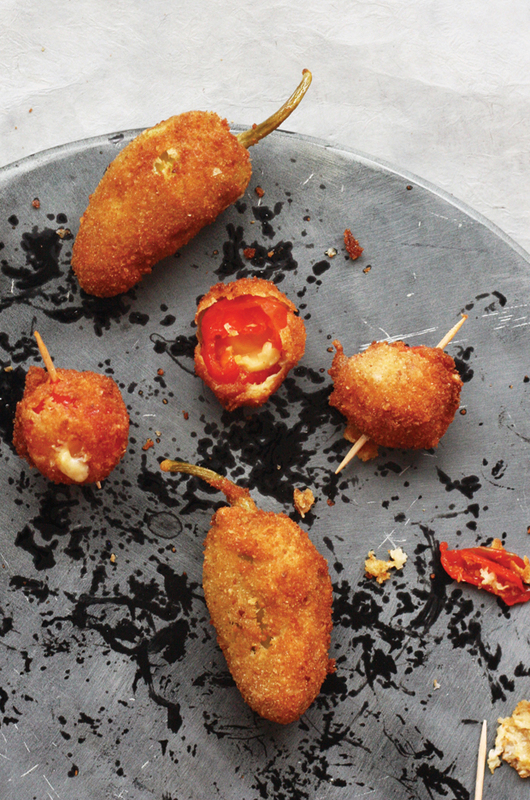 Coat the peppers with flour, then with the egg mixture and finish by coating them with bread crumbs. Repeat the process. Fry in batches and drain on a paper towel-lined plate. Serve immediately. 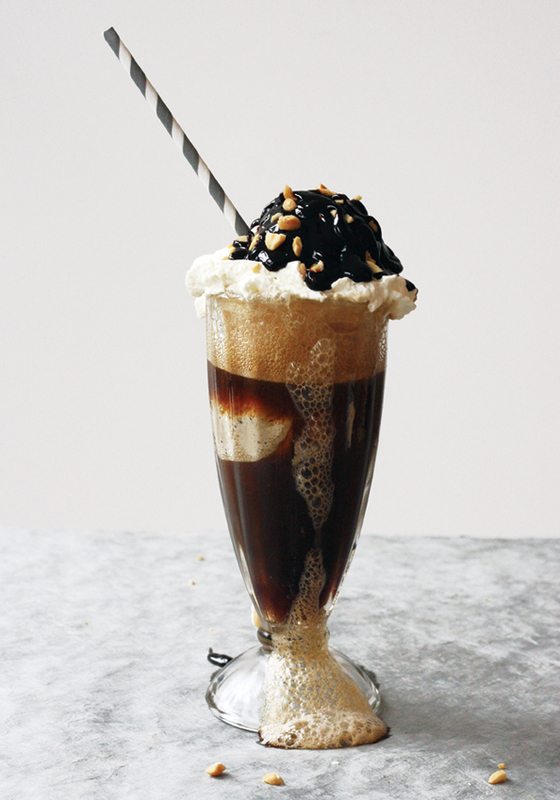 This is inspired by Guinness floats we used to get from a local diner. Our version is dressed up with coffee ice cream, whipped cream and salty peanuts. 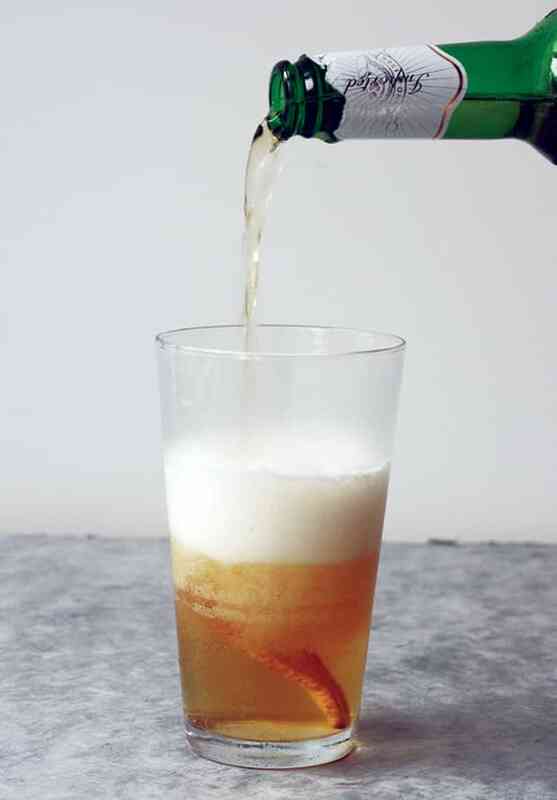 Fill large glass with beer and top with a scoop of ice cream, whipped cream, salty peanuts and chocolate syrup. Wrap bacon around bananas. In a large skillet over medium high heat, fry bananas until crispy, about 3-5 minutes. Drain on a paper towel-lined plate and serve immediately with ketchup. This is inspired by a favorite party drink from college. We would pop open a Budweiser and shake it up with a packet of Kool-Aid. This is a bit more elegant than our dorm room version, but it’s the same basic idea of mixing sweetness with starch. 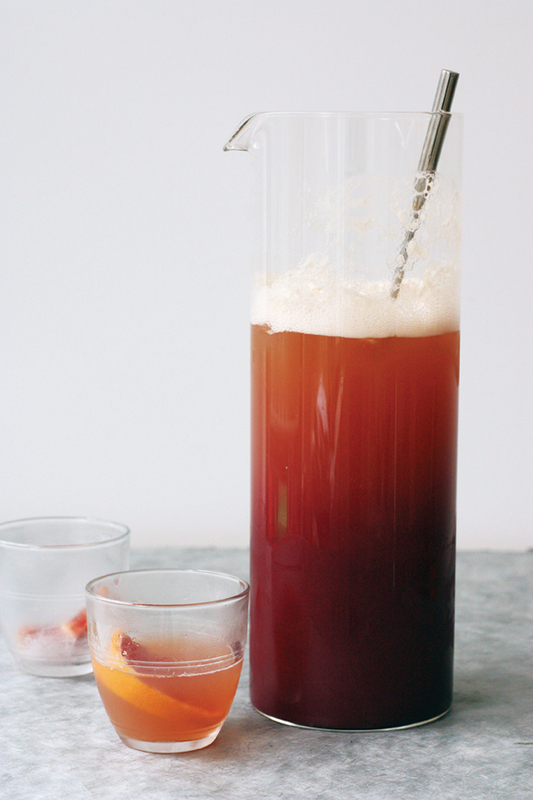 Combine pomegranate juice, orange juice and beer. Stir in simple syrup and finish with a squeeze of lemon. Add ice and garnish with orange slices. In a medium saucepan combine sugar and water. Bring to a boil and stir until sugar has dissolved and you are left with simple syrup.